Injured due to faulty work equipment? All employees throughout the UK should be provided with a safe work environment that is free from unnecessary risks and dangers. It is an employer’s legal obligation to ensure that they carry out thorough risk assessments of the workplace. They also have a duty of care to ensure that you are provided with the correct work equipment to carry out your duties, and that this equipment is maintained in good working order. Faulty equipment is the cause of many workplace injuries, and these type of accidents can occur within all industries and across all professions. Whether you work in a hair salon, a factory, an office or on a building site, it is likely that you will use some form of work equipment. If this equipment is not properly maintained, is not suitable for the task at hand, or you are not provided with the necessary training, it can lead to accidents and injuries. If you have suffered an illness or injury as a result of using defective work equipment, you may be entitled to make a claim for compensation. Our personal injury solicitors have helped thousands of people from all over the UK claim compensation for workplace accidents. We provide a no win no fee service. So making a claim with the help of our solicitors will not put you at any financial risk. If we cannot win your claim, you won’t pay us a penny. The Health and Safety Executive (HSE) estimated that in 2012/13, the economic cost to the UK of injuries and illnesses caused by working conditions was a massive £14.2 billion. What is classed as work equipment? The term ‘work equipment’ can be used to describe any tools, machinery, appliance, device or apparatus that is provided to employees to use during the course of their work. The definition, therefore, has an extremely wide scope under UK law. As well as covering equipment used on company premises, any tools or equipment used on customer premises is also covered by the definition. This therefore includes tools used by tradespeople for example, such as electricians, plumbers, builders, etc. Several different health and safety laws place legal obligations on employers to provide and maintain safe equipment in the workplace. Some regulations are specific to certain types of equipment, such as the Lifting Operations and Lifting Equipment Regulations 1998 and the Personal Protective Equipment at Work Regulations 1992. If a company fails to meet the requirements set out in PUWER or any of the other health and safety laws, and an employee sustains injuries as a result, the company can be held responsible and be made to pay compensation for the pain, suffering and losses caused. 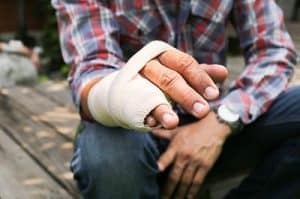 Am I eligible to make a faulty work equipment accident claim? Being injured in an accident at work doesn’t automatically mean you are entitled to receive compensation. To make a claim under personal injury law, there are criteria that a claimant must be able to meet. The first requirement is that any claim must be made within three years from the date of the accident. The second requirement for making a claim is to show that you have suffered an injury or injuries as a result of the accident. The type of injuries caused by faulty equipment can range from cuts, bruising and burns through to broken bones, back injuries and amputations. In extreme cases, these accidents can even be fatal. Evidence of your injuries will be provided by examining your medical records. The third requirement is demonstrating that your employer was at fault for your accident. This is usually the most difficult part to prove, and will rely upon your solicitor gathering evidence to support your claim. We have helped many people make successful claims for injury caused by the use of defective machinery in the workplace. If you believe that you have suffered an illness or injury because your employer has not observed their legal duty in maintaining and supplying safe and legally compliant machinery and equipment, contact us to find out if you have a valid claim. We offer a free, no-obligation consultation where we will assess the details of your case and provide realistic guidance on your eligibility to make a claim. How much compensation can I claim for an injury caused by faulty work equipment? The amount of compensation you are awarded for successfully making a claim against your employer will depend on the specifics of your case. It will take into account the type of injury you have suffered, how severe the injury was and whether you have any ongoing medical issues. This element of the compensation award is referred to as general damages. You can use our compensation calculator to get a ballpark figure based on the type of injury you sustained. As you will see, there are minimum and maximum amounts for injuries of varying severities to different parts of the body. These are the guidelines for general damages that are recommended by the Judicial College. Although not legally binding, these are followed by solicitors, insurers and the courts in most circumstances. As you would expect, the more severe the injury is, the greater the recommended compensation amount will be. Calculated separately from the injury is what is known as special damages. This is an amount of damages based on your financial losses that are related to your accident and injury. In many cases, the amount awarded for special damages can exceed the amount awarded for the pain and suffering of the injury itself. Have you had to take time off work? If so, have you lost earnings? If the effects of your injury or illness are ongoing, will you continue to lose earnings as a result of this? Have you had to pay for any transportation due to your injury? For example, if you were unable to drive following your accident, you may have paid for taxis or bus fares to get to work or doctors appointments. Have you had to pay for prescriptions to receive medication such as painkillers? 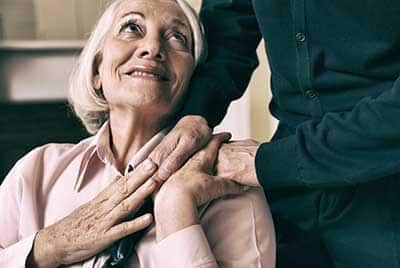 Have you paid for any rehabilitative treatment to help aid your recovery, such as physiotherapy for example? The above points are just a handful of the potential losses that will be taken into account. Your solicitor will ask you a number of questions to get a full picture of how you have been left out of pocket as a result of the accident and your employer’s negligence. To find out if you have a valid personal injury claim, the first step to take is contacting a solicitor for a consultation. Our injury lawyers provide a free case assessment service. This is provided with no obligation to proceed, and is a great opportunity for you to ask questions and received some free legal advice. In most cases, the consultation will be conducted over the phone and will take no more than 10 to 20 minutes. If you do have a valid claim and you want to proceed, the next stage is to instruct your solicitor. This is not as daunting as it sounds and is simply a case of signing some paperwork to give our solicitors permission to work on your behalf. This paperwork is a conditional fee agreement, which is more commonly known as a No Win No Fee agreement. Once the signed paperwork is received, your solicitor will then be able to start the process of making your claim. This will include gathering evidence to support your case, such as any photographs of the faulty work equipment, accident logs, witness statements and medical records. The details of the claim will be sent to your employer and the insurance company that provides their employer’s liability insurance policy. If liability for the accident is accepted, our solicitors will then begin the process of negotiating a compensation settlement. As mentioned above, this will take into account the type of injury you sustained, the severity of the injury and your financial losses. Once an agreement has been reached, you will then receive your compensation payment, and the case will be closed. If your employer denies liability, thinks you were partly to blame, or an agreement on damages cannot be reached, the case could be taken to court. Our solicitors will keep you updated throughout the entire process and will work hard to ensure you receive the compensation you are entitled to. If you have suffered an injury at work due to faulty or defective equipment, such as machinery or tools, our solicitors would be happy to help. We provide a 100% no win no fee service, so you can make your claim without being under any financial risk. In a nutshell, the term no win no fee is used to describe what is technically called a conditional fee agreement. This document instructs the solicitor to work on your behalf and details the terms and conditions of the agreement. If the claim against your employer is lost, you won’t be expected to pay any legal fees. If the case is won, your solicitor would be paid a success fee, which is a pre-agreed percentage that is taken out of the compensation awarded. If you would like to find out if you have a valid claim, contact us today to arrange a free case assessment. You will be asked a few questions to help us understand how the accident happened, when it happened and what type of injury was caused. This is also a chance for you to ask any questions you may have about the process, how much compensation you may be entitled to or our no win no fee policy. To get started, enter your details into the contact form below and we will call you back for a friendly chat.